Being away from home is hard. 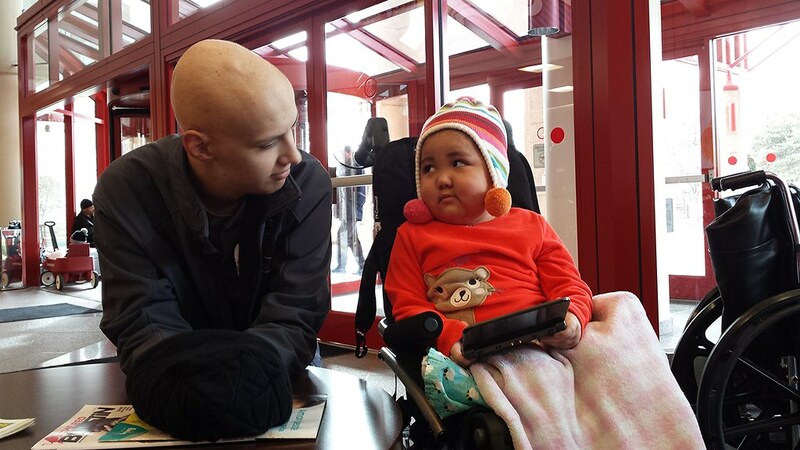 Cancer, sickness, endless hours in the hospital are hard. But the darkness cannot encompass us with good friends who shine light and joy. Sidney particularly bonded with Marco. 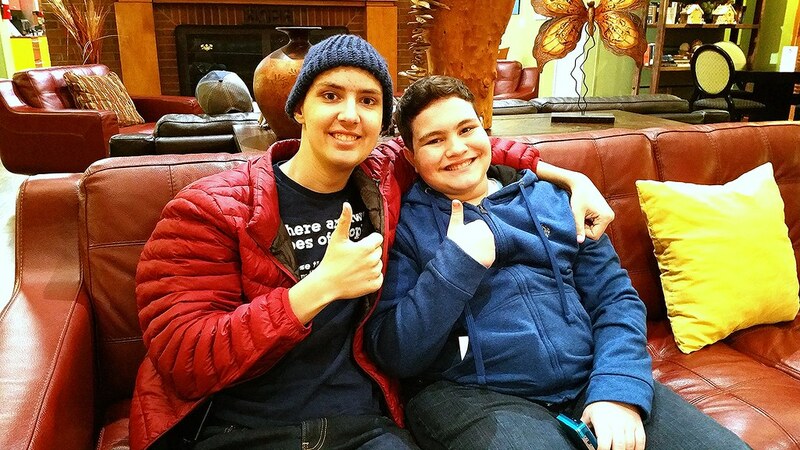 Marco finished treatments and went back home to Canada. Before he left, Sidney and I took Marco and his mama to a Sonic. Apparently, there are wild rumors in Canada about the awesome milkshakes of Sonics in America. I don’t think our Canadian friends were disappointed. Sidney cozied up to this cutie today. Sweet Camille has turned a corner and is clearly feeling better. She was interested in Sidney Nintendo, so he showed her Animal Crossing, but she seemed to spend almost as much time . . .
doing this — sweeping her eyes up to look at Sidney. It was precious. Camille — a bright, happy moment in our day. Unexpected happy moments are the best! Tina this Cathy spears. .I want to follow you..
Hi Cathy. I will try emailing you. Just wanted to wish you both a very Merry Christmas! We continue to pray for you every day! We love those prayers! Thank you Tammy. Merry Christmas to your family. Tina, I am Wanda Phillips Hutchinson. I grew up in Lenoir and your sister Brenda and I were good friends. I just learned about Sidney on Thursday and want you to know that I am praying daily for you. My husband and I lost one of our grandsons, Seth Fairchild, to bone cancer two years ago. I know somewhat of your struggle but no one can know exactly. Just know that I will continue to pray for you and your family. Hi Wanda, I have heard your name many times from my sister and from my mama too, I think. My impression is that you were a taming, calming influence on my sister in her wild youth. Thank you for your prayers. Sidney and I, my husband and my other children, are all humbled daily by the outpouring of love and prayers. It has truly been a source of strength as I don’t know that anyone could possibly have the strength on their own. I am so sorry to hear of your grandson. Seth Fairchild sounds familiar to me. Sidney says it is familiar to him too. Did Seth live in Lenoir? How old was he?